The Good Hope Observatory is owned and operated by Joe Gonzalez, President of the Central Appalachian Astronomy Club, who are partners in education with many Educational Institutions. The Observatory is available to anyone interested in astronomy and education including but not limited to science clubs, amateur astronomers, and educators. Arrangements for project or visitations can be made by contacting Joe Gonzalez at (304) 669-3555. North American Datum (83) 39º 10' 04.45" N, 80º 26' 24.15" W at average mean sea level of 1125.6 feet. 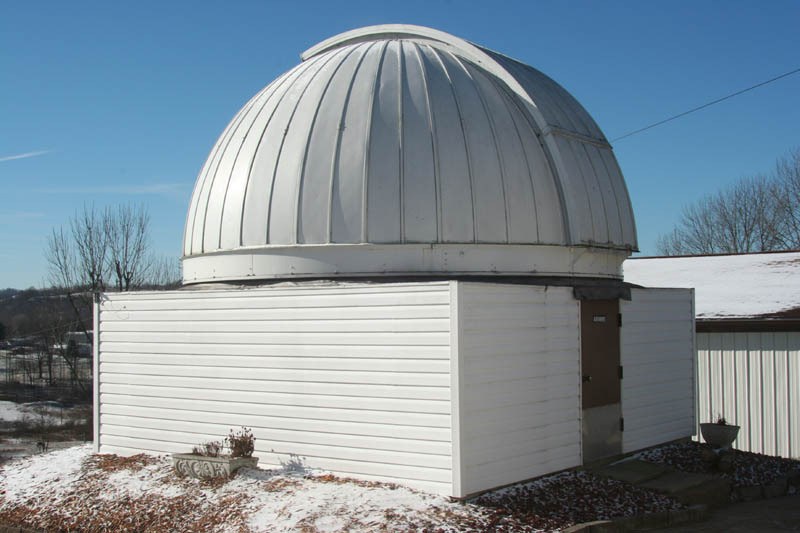 The Observatory has a 15 foot diameter dome with a 45inch shutter that offers an excellent aperture from 5º off the horizon to 24 inches beyond Zenith. It is manufactured by Ash Manufacturing Co. who has a long history in dependable observatory domes of all sizes. The dome is powered by two heavy duty electrical motors for 360º rotation on azimuth in either direction, and to for shutter operation, along with a lower fold out panel. The dome is located on a 16x16 foot building with 5 ft. walls with one door. The observatory interior is finished with insulated walls, carpeted floor and four corner desks and independent lighting in white and red. 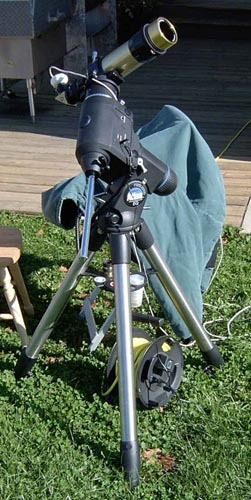 The telescope is a Meade 16" F/10 LX 200 GPS Schmidt-Cassegrain with a Takahashi 4" FS-102 II, and a Williams Optics Zenithstar 80mm F/6 riding piggy-backed. 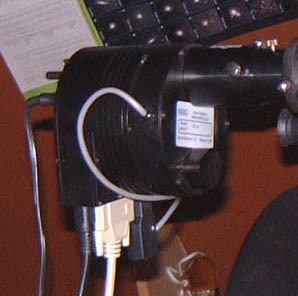 The scope is pier mounted on a special fully adjustable pier with a super wedge. Other scopes; 12 F/10 LX 200 Schmidt-Cassegrain, 6.5" William Mogey & Sons Refractor (Under Restoration). 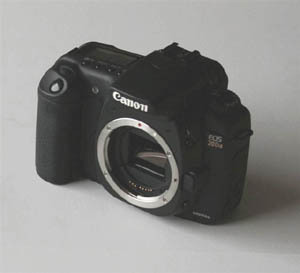 Coronado Max Scope 60 (0.5 A) for SAFE solar observing! The telescope is complemented with a large assortment of lenses ranging from 50mm to 6mm with many other accessories for visual observing of the Solar System and Beyond! and the serious researcher! Call and come visit us.